Pikeville Medical Center’s Gastroenterology department features a highly trained, board certified physician who specializes in the prevention and treatment of digestive, pancreatic and liver diseases. Dr. Phillip Leipprandt, Jr. and his staff utilize the most advanced technology and cutting edge procedures, including endoscopic retrograde cholangiopancreatography (ERCP), capsule endoscopies, BRAVO pH wireless capsule studies, esophageal manometry, esophageal ultrasounds and Barrx advanced ablation technology for barrett’s esophagus. The number of endoscopy suites increased from four to six with the completion of the PMC Clinic Building, and every suite has all equipment within arm’s reach, decreasing preparation time for procedures. Equipment used during procedures in these areas have been mounted on the ceiling and centralized to provide more space and improve safety. Common procedures performed in the endoscopy suites include upper and lower endoscopies as well as colonoscopies. To streamline these and other services in endoscopy, patients receive bed-side registration, reducing wait times. Dr. Leipprandt is currently accepting new patients. His office is located on the 2nd floor of the PMC Clinic Building. 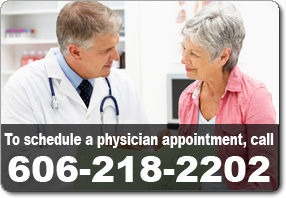 To schedule a physician appointment, call 606-218-2202.